The orchards of Herefordshire have long been the subject of study by botanists, fruit growers, historians and antiquarians. 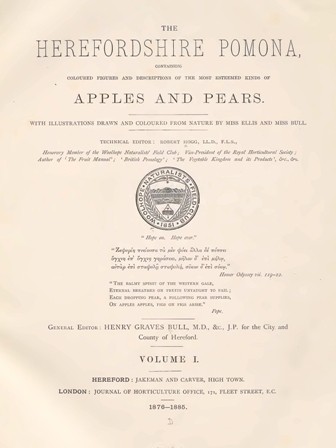 In carrying out their research, the volunteers have relied on some important historical books about Herefordshire orchards. Described as ‘antiquarian’ books, some are over 200 years old, and original copies are usually kept in specialist research libraries. We discovered that these days many are available to download for free from a range of websites. Here are some of the books we used. In fifteen chapters, Ellis covers all aspects from planting your orchard, picking and pressing the fruits and fermenting the cider. 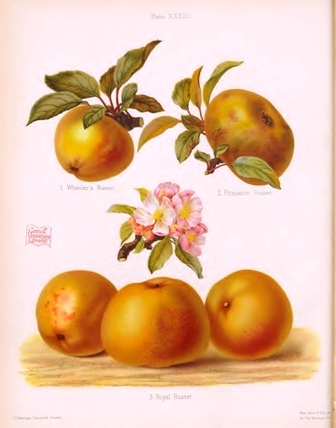 Ellis describes how to ‘make a sweet Cyder out of a rough Cyder’ and ‘Several Ways to make Cyder stronger than ordinary’. 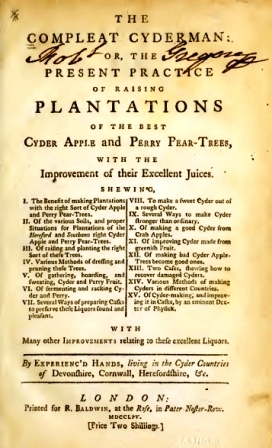 William Ellis was born in about 1700, received an ordinary education, and began life as a plain farmer. For nearly fifty years he farmed at Little Gaddesden, Hertfordshire, but he made no pretence to scientific agriculture. You can download a digitised copy of The Compleat Cyderman from the Biodiversity Heritage Library. 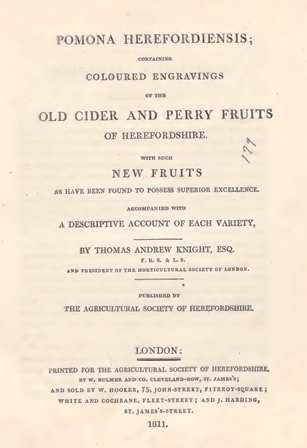 Thomas Knight’s detailed book contains descriptions and 30 coloured engravings of the old Cider and Perry Fruits of Herefordshire. Individuals bought the parts and paid to have them bound into a single book that matched their library collections. This means that some volumes will vary in content and appearance depending on the instructions of the original collector. You can see printed copies of the book at the Museum of Cider in Hereford but do call ahead before you visit! 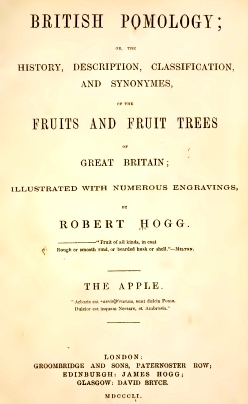 Robert Hogg (1818–1897) was a well-known Scottish nurseryman and botanist. He researched and wrote British Pomology which is still considered essential reading today. Hogg exchanged letters with a wide network of growers and scholars and he travelled widely to carry out his research. 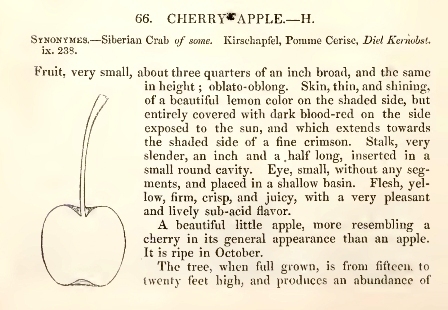 He wrote extensively about fruit culture and plant identification and co-edited The Florist and Pomologist: A Pictorial Monthly Magazine. You can download a digitised copy of his book from the Biodiversity Heritage Library. The Woolhope Naturalists’ Field Club regularly invited Robert Hogg to judge the annual apple show and identify fruit varieties. 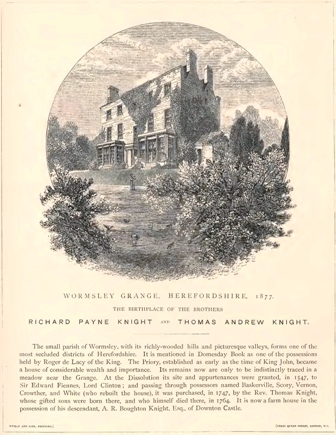 His writing partner, Henry Graves Bull was a Herefordshire physician, a keen naturalist and a member of the Woolhope. Edith Bull, the book’s illustrator, was very likely Henry’s daughter. in 1885, Hogg and Bull’s printers published the Pomona in 7 unbound parts and also issued 600 copies as a two-volume set. 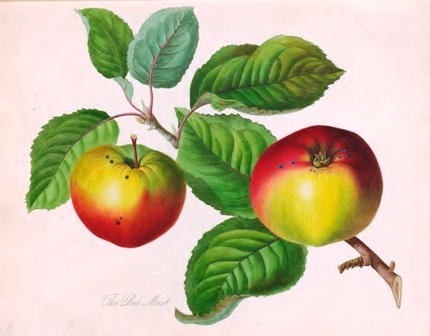 Researchers find that these historical books about Herefordshire orchards are still valuable sources of information today. 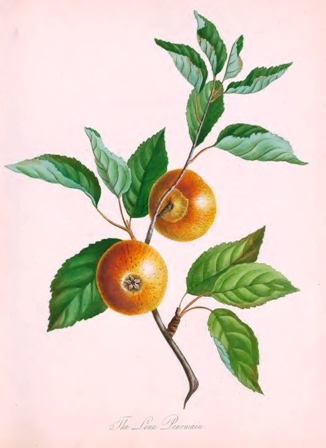 You can read further information about the publication of the Pomona on the blog page of the Biodiversity Heritage Library.